Ever had a tenant from hell? If you haven’t been graced with a truly bad tenant, you should count yourself among the very lucky. Many landlords have seen their share of awful tenants. Learning how to avoid them can be difficult especially if you don’t know what to look for. Here are some guidelines for avoiding and dealing with tenants from hell. The Internet is full of tenant from hell stories. Whether you’re dealing with a hoarder tenant, a tenant who not only hasn’t paid the rent but who is also a stripper with plugged up bathroom pipes, or a tenant who has passed out with a sexual device after flooding the room the first day, it’s better that you don’t deal with bad tenants from the start rather than put up with these problems. So, how do you keep from having nightmare tenants? Here are some ideas to keep sanity in your life — and on your property. If you have your policies written up, it’s easy to point to your rules for what is allowed versus what isn’t. By having your tenants sign a contract stating that they agree to the policies you’ve set forth, there is no question what is acceptable and what isn’t. You also have a legal leg to stand on if you need to evict or sue the tenant for damages. Before you accidently bring in the tenant from hell, the first thing you need to do is screen your prospective tenants. Don’t accept sob stories — a bad tenant is unlikely to change his or her ways. Screen your tenants carefully. Run background and credit checks. Contact all previous landlords and references. Verify their employment and their income. If you can, visit them in their current home so that you can see how they live now. You’ll hopefully be able to discover whether they’re a hoarder, drug manufacturer, or have other undesirable problems. Even if you’re sympathetic, you need to keep in mind that tenants from hell will take advantage of any weakness on your part. That means that if you let their tales of woe affect you, they will continue to behave the same way — or worse. If they’re late on paying the rent and you charge a late fee, don’t wave the late fee. If you don’t allow smoking and someone is smoking, you need to charge them appropriately, or even evict them for the damages. Whatever they’re doing — or not doing — you need to have them correct it immediately or they will continue to take advantage of you. If the person is that bad of a tenant and have violated the rules, evict them as soon as possible. Hire a good lawyer if you need to. If they have not violated rules but are still a pain, you can offer them money to leave. In this way, you get rid of a problem and they can cause someone else a headache. It may seem counterintuitive, but often making the problem go away with cash is better and cheaper than the cost of stress, damages, and your own therapy sessions. If your tenant has a real problem and you don’t want to be hard nosed, you can also offer to help them by referring them to counseling, whether it’s financial help, addiction help, or mental health counseling for problems such as hoarding. (Hoarding is a mental disease and not just an undesirable behavior). But don’t expect miracles. It takes a while for the person to change, and they will only change when they decide they’re ready to do so. 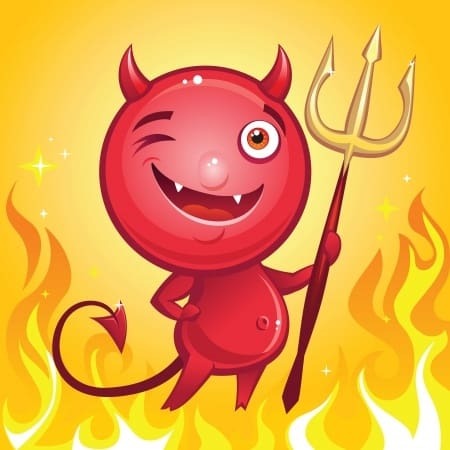 Remember that no matter how colorful or how weird your tenants from hell may be, you need to be aware that you are in charge and you don’t have to put up with their behavior. By screening and not allowing the behavior to continue, you can avoid being a victim of tenants from hell.